BOUNDARIES ARE BEAUTIFUL | 8/8 | KNOW YOUR LION'S GATE! AS ABOVE SO BELOW! 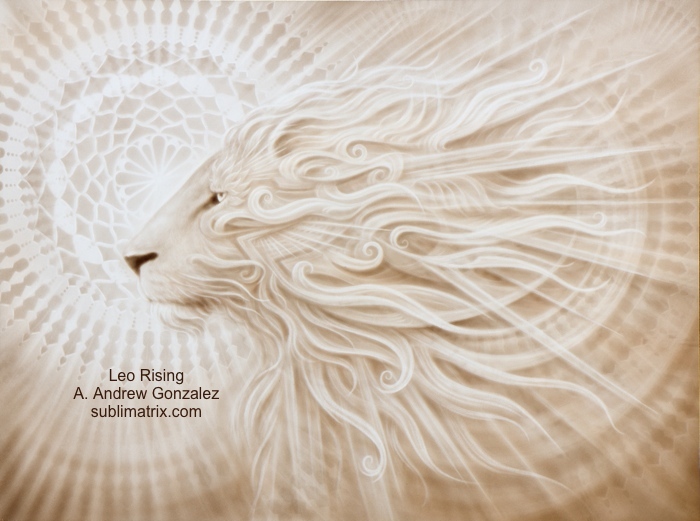 THE POWERFUL YEARLY ASTROLOGICAL ALIGNMENT OF THE LION’S GATE WITHIN & WITHOUT IS UPON US! THIS MAGICKAL YEARLY ALIGNMENT ASKS THAT YOU OPEN WIDE TO THE EVOLUTIONARY CHANGES HAPPENING ON EARTH. WE ARE DIVINE SPIRITUAL BEINGS LIVING IN ORGANIC MEAT FORM. WE ARE MULTIDIMENSIONAL BY NATURE & PART OF OUR EVOLUTIONARY PROCESS MEANS ACCEPTING THIS FACT. ONE CANNOT APPRECIATE THE MAJESTY OF INNER PEACE WITHOUT DEEP SOUL HEALING. YOU ARE A GIFT. WE ALL ARE. WE’VE JUST BEEN SLEEPING. ASLEEP. LOST AND AFRAID IN SOMEONE ELSE’S CONSTRUCT. IT IS NOT TIME THAT WE RECLAIM OUR DIVINITY AS A SPECIES. IS RAINING DOWN ON US ALL. TO RELEASE ALL THAT HAS BEEN SAID OR DONE TO THEE IN ALL YOUR INCARNATIONS. YOU ARE MAGIC SIMPLY FOR BEING. RECOGNIZE THIS. REALIZE THIS. REMIND YOURSELF. I encourage you all to explore the teachings found in the BLOG below. SHARE THIS WITH ALL YOU KNOW WHO MAY RESONATE WITH THESE INSIGHTS. <☀️The Lion’s Gate Portal opens. A mystical, intuitive entrance into sacred possibilities and vibrational alchemy. Holding this Gateway open for you are many faces and hearts that you remember, for they are the Guardians of your Soul’s Journey. There is Isis, Queen of the Nile. There is Sekhmet, the Lion Goddess. There is Kali, Holder of the Secrets. There is Lilith, Keeper of the Ultimate Feminine Truth. Archangel Michael is here. All the Archangels steadfastly anchor these new waves of Light as they flood into your being. You are being welcomed into the Great Temple of Light, rooted in Egypt, held in the pyramids, shining from the Star Systems from where you originate. The Merkabah hovers tantalisingly over your vibrational field, poised and ready to descend into the chakras, blending your personal energy with the Higher Wisdom of the Great Ones. Mystery. The Unknown. The Multi-dimensional Realms. The Ancients. The Gods & Goddesses. The High-Priests & Priestesses. The Master Alchemists. The Shape-Shifters and Time-Travellers. The Keepers of the Holy Grail. All of this, and more, will you encounter over the coming weeks as you journey further and further, deeper and deeper into the Temples. Your outer layers will be burned off. Blocks to revealing the inner Light Codes will be dissolved. You may have to confront some fears and resistance. And yet, at all times you are deeply held and nurtured by the Goddess. You have a unique destiny. Notice the signs, symbols and synchronicity all around you. You are in the midst of a Divine conversation. 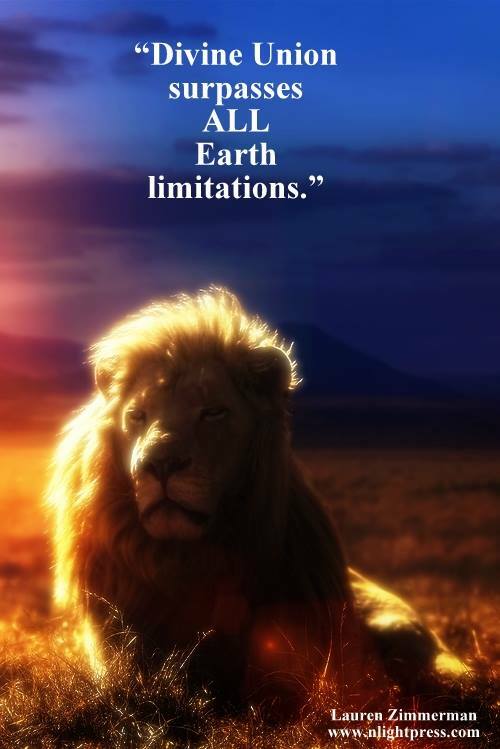 Today, the Lions open their mouths wide and begin to roar the new frequencies into your being. The journey to the Inner Sanctum has started. DO YOU EXPERIENCE ENERGY WITH NUMBERS? DO YOU KEEP SEEING THE SAME NUMBERS ALL THE TIME ON THE CLOCK? OR IN RANDOM PLACES WHEN YOU ARE OUT AND ABOUT? ARE YOU CURIOUS ABOUT REPETITIVE NUMBER SEQUENCES? Beloved Ones, be open to this grand influx of powerful Light and Blessings that is coming to you as this Star Portal begins to open on the 26th July, and culminates on the 8th of August on the 8/8, and then closes on the 12th of August. Here is a “window” of Light and Opportunity for each one of you to step up and into a new level and phase of your personal evolution on Earth. LION’S GATE TRANSMISSION FROM 2016 BY:: Celia Fenn | CLICK HERE TO READ MORE! WHY is this power portal called the 8:8 Lions Gate? The answer is that this name refers in part to the fact that the Sun enters into the sign of LEO at this time, and these energies are integrated into the Earth under the energy of the Lion, the Feline Energies of the Star Sirius which are fierce and proud and very “royal”. It also refers to the fact that around this time each year huge evolutionary stargates open that transmit ascension codes to Earth. And finally it refers to the numerology of the date 8th August being the 8:8 double infinity energy, representing the energy of the Merkabah, the “As Above So Below and Within” the realisation of wholeness, oneness, re-connection to source, divine union/divine love – another characteristic of the Leo Constellation (radical radiant self love)! What you should prepare for & expect physically/emotionally/mentally/spiritually? As the energy builds towards many powerful Astrological Power Portals like this 8:8 Lions Gate you may well have been experience physical/mental/emotional symptoms as a result of the celestial energies pouring upon you building in intensity! What I want you to know is that IT IS REALLY IMPORTANT not to be afraid if you are having symptoms OR to consider yourself ‘to be sick’! Why? Because most your symptoms are lightbody or ascension symptoms and are transitory and going into fear/anxiety can slow down your ascension journey. Please know that if you are experiencing common symptoms like those listed here, you are simply clearing and embodying more light and you just need to support yourself appropriately. We expect the light frequencies pouring in to effectively “Recalibrate” the Earths frequencies to allow for higher levels of consciousness to birth. This means, of course, that the old third-dimensional “illusion” will continue to crumble and break down. To those who still hold to the Third Dimensional Frequency & Consciousness, it will seem as if chaos is breaking out everywhere, and they may become paranoid and angry and despairing. To those who can see and feel with the Higher Consciousness, they will see through this process, realizing that a new dawn is breaking and that a new way of life is rising, as of course, it is. What can I expect at this time? No matter who you are the word to describe what to expect is “intensity”. Everything may well seem very intense to the point of being surreal. In your personal lives, whatever is still remaining of your old third-dimensional consciousness may well rise to the surface, seeking to be released and replaced by something at a higher vibration. This may be difficult if you have an emotional attachment to the old energies. However, if you simply surrender and allow the changes, then they can be achieved with the minimum of disruption and hardship. The idea is simply to TRUST the PROCESS and allow whatever needs to happen. For those of you who have activated your Light Bodies (which is most likely you – because you are on my blog), it will be a simple matter to integrate the incoming Light into your Light Body. At the same time, the Physical Body will once again be moving into DNA upgrades to allow the physical form to align with the new Light Codes for further Evolution in the New Earth. This influx of Energy may mean that many of you will experience lightbody symptoms as previously mentioned, you may feel intensely CREATIVE and will be flooded with new ideas. Remember, it is best not to act on all of them immediately, you are simply accepting the flow of abundance and light birthing through the power portal. Give things time to anchor in and settle down before deciding to move forward with what seems best to you. Consciously aligning with the Celestial Flow of this 8:8 Lions Gate Power Portal (in fact all power portals) allows you to align your co-creative activities with the Divine Plan for your life and for humanity. Being aligned with Celestial Flow ensures that YOU are planting the seeds of your co-creative activities, at the optimum moments, in the right seasons, to ensure their most efficient growth & an optimum harvest! 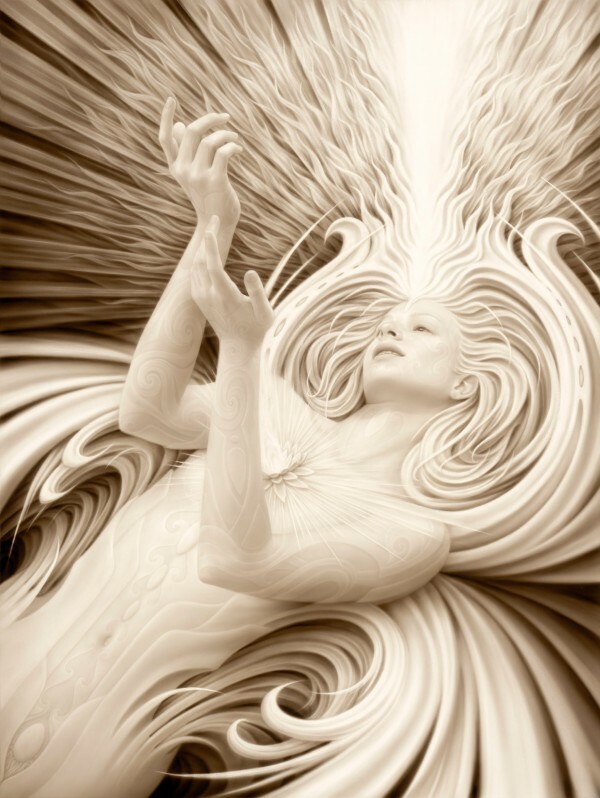 Thus aligning with Celestial Flow allows YOU to power up your co-creative activities and supercharge their impact! As you step more and more fully into your 5th dimensional consciousness and reality – as you more fully realise within yourself the physical unification of ‘as above’ and ‘so below‘ – you come to understand the importance and power of embodying Cosmic Consciousness in your everyday life! Through choosing to become aware of and move with the Celestial Flow or ‘ as above‘ your ability to co-create magnifies exponentially! This is why consciously choosing to align with Celestial Flow is not only wise, but I would go so far as to say VITAL to your growth & evolution as a soul. It is also VITAL for the successful completion of the transition of our Earth/Humanity into the new golden age of unity/cosmic consciousness! The Power Portal of The [2016 8:8 Lions Gate | 888] is profound and aligning with it provides you with a remarkable opportunity for expansion! It is a seasonal moment that at this time in the Earths evolution bathes YOU in a huge influx of starry ascension codes and energy to uplift and empower, to awaken YOU even more fully to higher levels of consciousness, to connect YOU more powerfully to your Soul Self! To MAGNIFY THE EFFECTIVENESS OF YOUR CO-CREATIVE POWER! 8/8/2018 | KNOW YOUR LION’S GATE! “88, 888 or 88:88 – As Above So Below and Within – This configuration gives to you the infinity portal escorting you past all pervious limitations. It is a number of going beyond what you know to be your normal boundaries. It asks you to fly to the moon and stop by the Milky Way on your way back. It is pure spiritual atomic energy, a pure power source. It is success, prosperity and big business with the added flavor of universal blessings. It is finally remembering about your divine inheritance promised to you by your Holy Creator. It is turning you nose up at earthly limitation and walking forward and upward into a place of opulence and bounty. On the morn of [August 8, 2018] (or there abouts different for all parts of the world) an ancient alignment takes place. The star Sirius rises before the daystar, our sun, issuing a declaration to all that the ATLANTEAN-EGYPTIAN-SIRIAN NEW YEAR has been birthed. This is a doorway of unprecedented opportunity to swim foreword with the stellar surge of awareness that precedes the daylight. Since ancient times Sirius has been known and revered in many cultures. In ancient Atlantis the mysteries were based on information received from the Sirius Masters. After the third fall of Atlantis, the Sirian mysteries spread into ancient Egypt. As early as 3000 bc the Egyptians started celebrating the helical rising of the star Sirius declaring this the New Year as the Nile flooded its banks in the time of the great lion, in the month of Leo. Sirius is the home of Christ Consciousness not only for our planet and solar system but also for this entire One Galaxy. Sirius has always been a spiritual prototype for earth and played a vital role in earth’s early evolution. Spiritual energy streams forth from Sirius into the heart chakra of our Sun and then comes forth to earth through the sun’s rays. As the rays from Sirius arc onto earth via the sun on July 23, pre-dawn, we will have another opportunity to activate the 11 Christ seeds within. These are dormant DNA encodings that await stellar emanations and configurations in order to open sealed soul records/truths of each Light Being held within the human costume. On [August 8, 2018] go out before dawn and look to the east. Whether cloudy or dark seen or unseen, the star Sirius will rise to meet you. Asking you to move your awareness into the galactic storehouse of knowledge that has quietly awaited this time. It is in the quiet times in-between words and thoughts that you will find the key that unlocks what has been unseen until now. On [August 8, 2018] we are given a rare opportunity to walk through another ‘Doorway of Accelerated Awakening’, the [8:8] LIONS GATE. This Awakening will occur within the cellular records of all beings. These cellular records are held within a crystalline code in the form of a tetrahedron (3 sided pyramid) which exists within the codon of each strand of DNA, which resides within each cell of the body, as well as each cell in the Universe. In ancient times the ‘Records of Remembrance’ were hidden deep within the earth physically and dimensionally, under, above and around sacred sites. The Mother Matrix of these encodings lives within the Great Pyramid of Egypt guarded by the Sphinx. When the ancient skies were aligned in a specific stellar alignment an energetic doorway was opened to the sacred sites. Allowing entrance through these sacred encodings. We all carry within us cellular awareness of every sacred site ever issued to earth, from the beginning of time on earth through out time in our immediate solar system. It is just a matter of fine tuning our intention to receive these energies. The only way earth can move forward is through the heart (anagram for earth). Every tool, meditation and OM is a fruitless tree unless one moves into direct contact with the heart. Since the Universe knows we are stubborn of nature it has aligned some stars to shoot that cosmic cupid arrow our way. Activating a doorway of love so vast one is automatically included within, without any effort. August 8, is a Natural doorway. Nothing forced, nothing prodded, nothing stressful. Just a natural downloading of remembering from the heavens initiating our dormant light codes. Lifting us up to a place where we can see the parade of light that is yet to come. Set your intention as you set you watch. Allow the floods of the ancient Nile to fertilize your soul with nutrients that are needed for your growth. 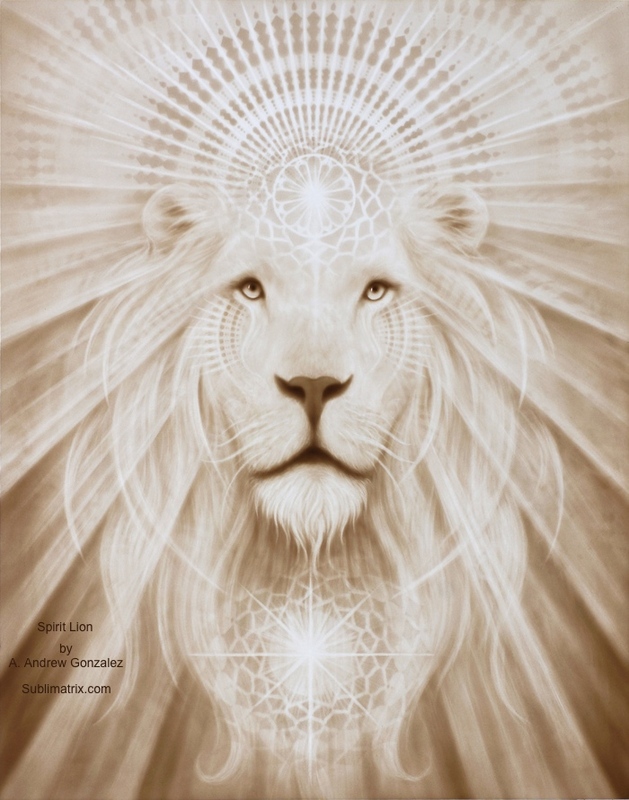 As the vibrations of the 8:8 Lions Gate comes forth via the month of August, the human body bucks at the thought of housing more light, downloading any more encodings, or receiving any more cosmic truths. The energies of the 8:8  Stargate come to smooth out the earths static cling and release a volcanic like tension that has been building up. The tiredness we all have experienced lately comes to slow down the ancient energy that stirs in the deep emotional layers of humanity. Sleep beckons but the energy shouts so loud and is so demanding that sleep is short and not so sweet. Just like celestial acupuncture we receive injections of knowing that cannot be explained away. We seek the passion to do, to be, to believe, and to create without a shadow of doubt. All buried landmasses within our consciousness come to a place of buoyancy, circumnavigating our linear flat world thinking. Do we finally stand up for what we believe or what believes in us? As the undetectable light from the Sirius Sun is felt, our humanness surges with hidden potential. The invisible light from the sun behind the sun spreads itself over our lives like softened cosmic butter. * Terms and Conditions: Please note that none of the information presented within these blogs & guidance sessions is meant to replace advice from a medical, healthcare, legal and/or other professional. How you choose to act upon the advice given is entirely based on your own free will. You may use this information for educational and non-commercial reasons, in parts, or in entirety with full credit given to the authors as noted and links to this webpage (WWW.BOUNDARIESAREBEAUTIFUL.COM). The author shall not be held liable from any intentional, accidental or other consequences of acting upon, sharing, or engaging with this information in any form. Using, reading or in any way engaging with any part of this information implies tacit acceptance of these Terms and Conditions.